Set in the foothills of the Rockies, Boulder, Colorado is the gateway to Colorado’s mountains with a flair for adventure, technology, emerging startups, and home of some of the world’s most recognized companies. Set near the open spaces of the Flatirons, and only 50 minutes from the Denver Metro Area, Boulder is the perfect combination of work and play, offering a substantial amount of space to explore, bond, and build crucial skills that your team will bring back to the office. Boulder is quickly becoming one of the leading towns in America for the tech industry, who enjoy its plethora of open space, small downtown, emerging brewery and food scene, and easy collaboration with like-minded companies and individuals. 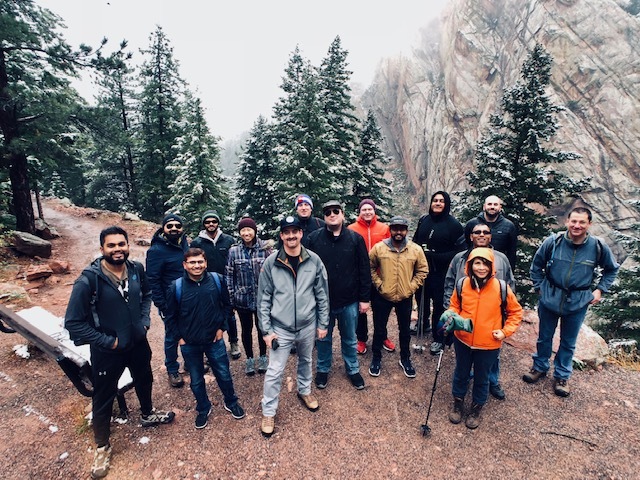 Colorado Wilderness Corporate and Teams is the leading provider of group activities, team building, leadership development, and executive retreats in the Boulder area. We utilize the plethora of open space parks, city lands, and the eclectic downtown Boulder to create events that’ll invigorate your team, and give them a day that they’ll be talking about for a long time. 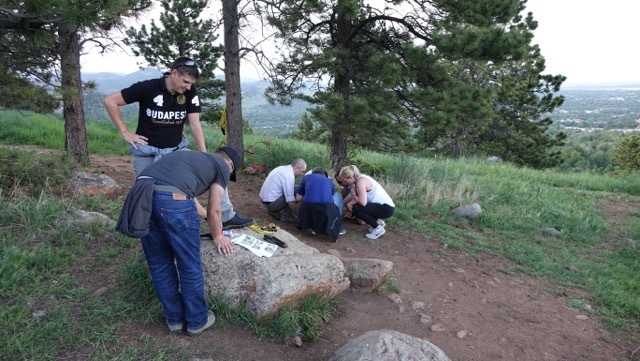 Here are some of our favorite team building and leadership events in Boulder, Colorado. Boulder is known for its legendary beer scene, one of the fastest growing and most innovative in the United States. With over a dozen breweries and distilleries, Boulder brewmasters are taking their beer to a new Willy Wonka-esque level of innovation with new techniques, flavors, and styles, combining these into intimate rustic brewpubs, with exceptional mountain views and plenty of space for exercises and socialization. 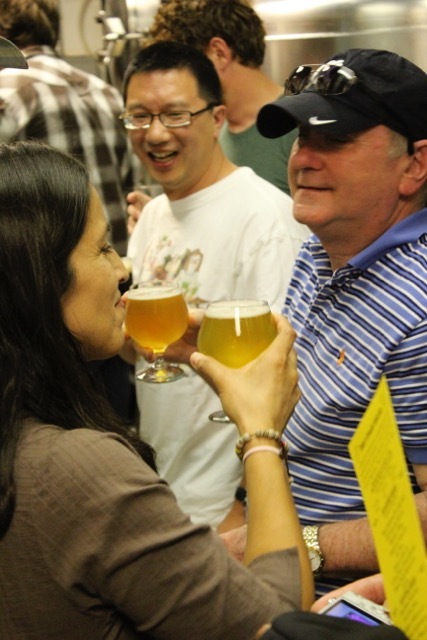 A Boulder Brewery Amazing Race takes the best of Boulder’s famed beerhouses and creates a series of activities and games that are meant to test your team physically and mentally, solving clues and puzzles to reach the next objective. Teams will get to explore Downtown Boulder and experience several different breweries and brewpubs, each with its own individual flair and character. This is a great way to see Boulder as only the locals get to experience. Utilizing a combination of some the teachings of Kurt Hahn and the Outward Bound Model, the five principles of the Kouzes / Posner’s Leadership Challenge and various great Leadership Development resources, our Experiential Boulder Leadership Challenge takes the best of leadership development and creates an event where the focus is on building future leaders using proven skills and methods taken from the outdoor experiential world. The leadership challenge can be customized from 1/2 day to more than 5 days in length and uses a series of mental and physical tasks where leaders work together through different tasks while testing personal self actualization. In completing each activity or task, observations, and reflection are discussed to modify and change internal processes in order to promote essential and reflective leadership skill development. Boulder, which has long been the home of storied outdoorsmen, from mountaineers to Olympians, knows a little something about what it takes to be the proven leader, and we take lessons from some of the most storied names in outdoor sports and high risk occupations to create events which will invigorate and show your team leadership in a way that they haven’t seen anywhere else. 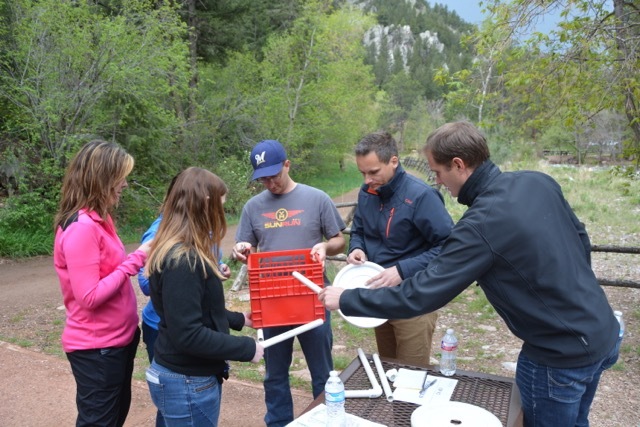 The Boulder Experiential Leadership Challenge is a great way to transform your team leadership that they won’t be able to learn anywhere else and cultivate leaders for the 21st century. One of the prides of Colorado’s State Park System, Eldorado Canyon State Park wows and awes the moment you drive through the gate, with towering walls on either side, and some of the best and most legendary rock climbing in North America. Some even say American rock climbing was invented here. With it’s grand vistas and vast history, Eldorado Canyon makes for an unforgettable setting for your team building experience. 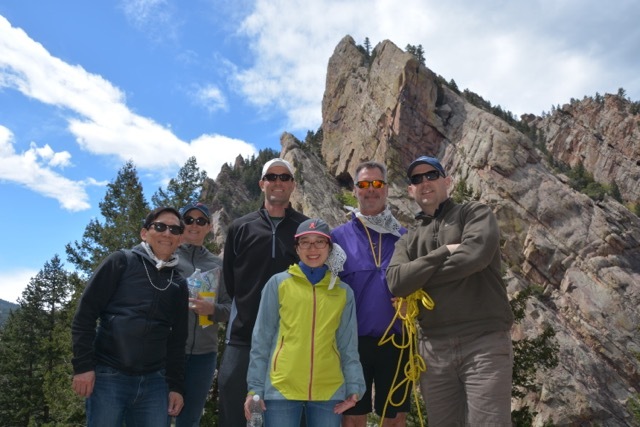 The Outdoor Amazing Race takes the best of Boulder’s sports: biking, rock climbing and rappelling, and hiking, and creates a series of activities and challenges that’ll test your team’s mental and physical fortitude. We utilize natural obstacles including the canyon walls, creeks, and trails, to create challenges where teams use their collective talents and teamwork to be the first to reach the finish line. This is a great way to show your team one of America’s greatest natural landscapes and experience an event, which brings together the best of Boulder into one exciting day. How do you find yourself around the wilderness? How you do you mix technology and traditional means to meet your goals. The Colorado Orienteering Adventure takes the best of navigational techniques to build teams through map reading, GPS locating, and a combination of old and contemporary means to meet goals. We utilize Boulder’s famed open spaces such as Chautauqua Park to create an obstacle course where teams learn to utilize a variety of methods to reach one station to the next. This challenge teaches teams reliance on different methods and different patterns of thinking to reach their goals, utilizing both traditional and innovative methods. This is a great way for bringing together two teams of different schools of thought and having them work together to reach a common solution. This is a thrilling event, which brings together wilderness skills and leadership, two of Boulder’s most prized characteristics. From Pearl Street to Boulder Theater, the Hotel Boulderado, and Chautauqua Park, Boulder is known for it’s iconic landmarks, from its Art Deco-like courthouse, to the Flatirons rising majestically in the distance. A Boulder Scavenger Hunt sends teams racing around the city to identify some of the city’s most famed locales, including the CU Campus and Stadium, the statues and gardens of Pearl Street, and the city’s famed open spaces. Using clues and riddles, teams set out to explore one side of city to the other, experiencing downtown from a local’s point of view. Teams will use collective talents and brainpower to discover a part of Boulder’s colorful and unique history, from the city’s quaint beginnings as a gold mining town, to the artistic mecca it is today. Colorado Wilderness Corporate and teams aims to create events, which are invigorating and experiential, taking lessons that we learn in the wilderness to the office. 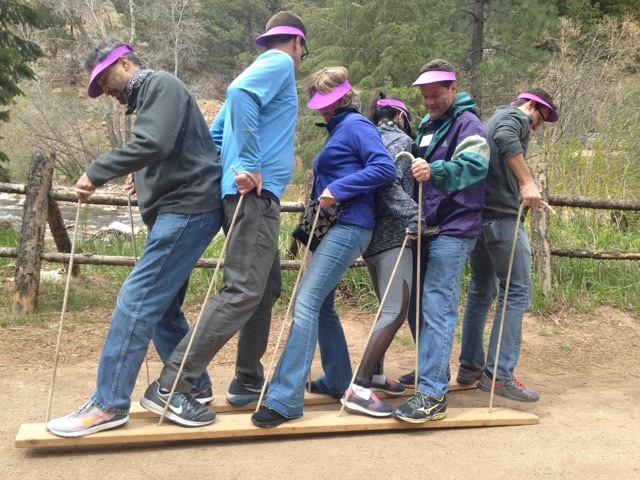 Join us for a thrilling team building or leadership development event with Colorado Wilderness Corporate and Teams. Check out https://www.coloradocorporateteambuilding.comor call 720 242 9828 to book your team building or leadership adventure today.